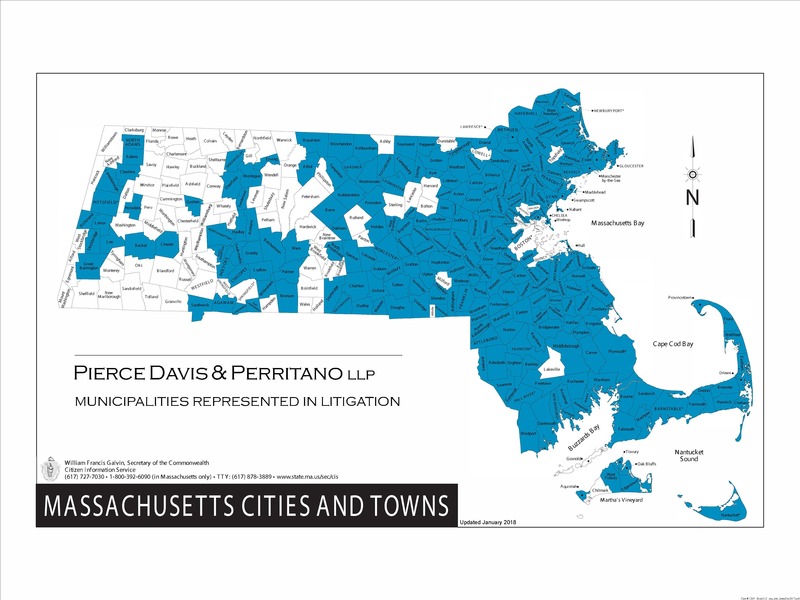 We have defended over 300 cities, towns, counties, school districts and other governmental entities in Massachusetts and Rhode Island, as well as their officers (both elected and appointed) and employees in actions arising out of the performance of their public duties, including those duties involving land management, zoning, planning, public works, police protection, and student discipline. Our familiarity with local government and with the numerous procedural and substantive defenses available to our clients — both statutory and common law — enables us to protect municipalities, local governments, and schools against the myriad lawsuits and administrative proceedings currently facing them in the public sector. We have a wealth of expertise in the defense of municipalities, local governments (including boards, committees and departments), school systems, public utilities, and other governmental entities in Massachusetts and Rhode Island courts, the federal courts, and before both state and federal administrative agencies. A considerable portion of our practice involves the defense of municipalities and municipal officials against an increasing number and variety of statutory claims. Thus, we have successfully defended law enforcement personnel, fire protection personnel, selectmen, department heads and numerous other public employees, in both state and federal court, against a variety of alleged statutory violations, including claims arising out of the Open Meeting Law, the Public Records Laws, the Recreational Use Statute and the Massachusetts Tort Claims Act, as well as their Rhode Island counterparts. Read more about our experience representing police departments and their officers as well as fire departments and other first responders: Police & Firefighter Liability. The firm has defended employers against claims under all state and federal employment laws, including Title VII of the Civil Rights Act, the Age Discrimination in Employment Act, the Americans With Disabilities Act (ADA), the Family and Medical Leave Act (FMLA), the Fair Labor Standards Act, the Massachusetts Whistleblower’s Act, and other employment-related laws. We practice in both state and federal courts, as well as state and federal administrative agencies (MCAD and EEOC). Another substantial segment of our practice involves school liability claims. In the landmark case of Brum v. Town of Dartmouth, we successfully defended the Town of Dartmouth against tort claims brought by the parent of a high school student who was fatally stabbed on school property by intruders. In the realm of Title IX of the Education Amendments of 1972, we have successfully defended principals and superintendents alleged to have fostered an inadequate hiring scheme. Read more about our experience defending school districts, elected and appointed officers, and school employees: School Law. From wind turbines to religious land use and wetlands, our familiarity with local government and with the numerous procedural and substantive defenses available to our clients – both statutory and common law – enables us to protect municipalities against the myriad lawsuits and administrative proceedings. Read more about our experience defending municipalities, their officers and employees in actions arising out of the performance of their public duties, including those duties involving land management, zoning, planning and public works: Environmental Law. Our knowledge in these areas of the law, as well as our ability to navigate with sensitivity the volatile issues that exist in these matters, are assets to past, present, and future clients.